Resolution 8-30B resolves, among other things, “That the President of the Synod in consultation [with COP, CTCR, CCM] ... make provisions for the preparation of materials that explain the biblical, confessional, and historical basis for Article VI of the Synod’s Constitution.” This website will provide the Synod, districts, congregations and pastors with resources for the study of Article VI of the Synod’s Constitution. Article VI of the Synod’s Constitution outlines the conditions for membership in the Synod. From the perspective of the Synod’s constitution, membership in the Synod can be held by (1) congregations and (2) rostered church workers (pastors, et al). One of the conditions for membership is the “Renunciation of unionism and syncretism of every description.” This requirement for membership in the Synod goes back to 1847 when it appeared as Article II of the Constitution. 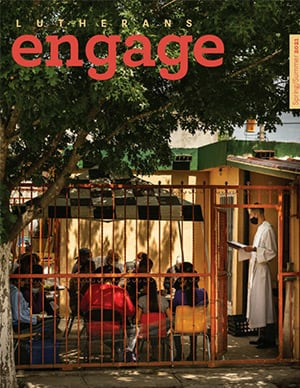 This publication courtesy of The Lutheran Church—Missouri Synod copyright © 2010. Used by permission. Dr. Walther's Thesis VIII: Dr. Walther’s Thesis VIII from The Church and the Office of the Ministry. This publication excerpt courtesy of Concordia Publishing House, copyright © 2012. Used by permission. Purchase this book from CPH. Resolution 7-17A (2001): In Kirche und Amt (“Church and Office”) by Dr. C.F.W. Walther, the first president of the Missouri Synod, is a series of theses with explanations about the Church and pastoral ministry. In Thesis VIII on the Church, Dr. Walther clearly explains what is meant by “unionism” and “syncretism.” Article VI of the Synod’s Constitution can be illuminated by Dr. Walther’s Thesis VIII on the Church. At Convention in 2001, the Synod declared that the entire book Kirche und Amt (“Church and Office”) is the official position of the Missouri Synod. This is a reaffirmation of the Synod’s declaration in 1851 and 1852 of this stance. This publication courtesy of The Lutheran Church—Missouri Synod, copyright © 2001. Used by permission. Since God ordained that His Word only, without the admixture of human doctrine, be taught and believed in the Christian Church (1 Pet. 4:11; John 8:31, 32; 1 Tim. 6:3, 4) all Christians are required by God to discriminate between orthodox and heterodox church‐bodies (Matt. 7:15) to have church‐fellowship only with orthodox church bodies, and, in case they have strayed into heterodox church‐bodies, to leave them (Rom. 16:17). We repudiate unionism, that is, church‐fellowship with the adherents of false doctrine, as disobedience to God's command, as causing divisions in the Church (Rom. 16:17; 2 John 9, 10) and involving the constant danger of losing the Word of God entirely (2 Tim. 2:17‐21). Theology of Fellowship 1965, adopted Synod in Convention in 1967, Resolution 2-13. A Lutheran Stance Toward Ecumenism  — officially adopted by Synod in convention; resolution to commend (1975 Res. 3-22) not acted on for lack of time. Bible Study on Fellowship  — officially adopted for use as a Bible study by the CTCR; no action by Synod in convention. The Nature and Implications of the Concept of Fellowship  — offically adopted by the CTCR; no action by Synod in convention but widely recognized as a helpful summary of Synod’s position on altar and pulpit fellowship. Inter-Christian Relationships: An Instrument for Study  — officially adopted by CTCR as an “instrument for study” and distributed throughout the Synod for review and response; commended by the Synod for “study” several times (e.g., 1992 Res. 3-14) as the CTCR continues work on this assignment. The Lutheran Understanding of Church Fellowship (Study Materials)  — officially adopted as “study materials” by CTCR; commended for “continued use and guidance” by 2001 Res. 3-07A, together with “CTCR Report on Synodical Discussions” (see 2001 CW, 48-51). Policy for The Lutheran Church—Missouri Synod declaring Altar and Pulpit Fellowship with Another Church Body [2003; updated 2014] — officially adopted by the CTCR; no action by Synod in convention. Guidelines for Participation in Civic Events  — officially adopted by CTCR; commended by 2004 Res. 3-06A. Church Relations in the 21st Century  — officially adopted by the CTCR; utilized by the Synod in convention in adopting 2010 Res. 3-04A. Principles for ‘Cooperation in Externals’ with Theological Integrity (2010 Res. 3-03)  — officially adopted by the CTCR; endorsed by the Praesidium. Theological Dialogue with Other Christian Church Bodies  — officially adopted by the CTCR; no action by Synod in convention. Admission to the Lord's Supper:The basics of the biblical and Confessional understanding of the Sacrament of the Altar. Read Admission to the Lord’s Supper to see what Scripture and the Lutheran Confessions say about receiving God’s gifts worthily for new life of the individual and unity for the Church. This publication courtesy of The Lutheran Church—Missouri Synod, copyright © 1997. Used by permission. In this piece, Dr. Walther defines Syncrestism. A Reader of LCMS Church Fathers: For additional information on the Missouri Synod fathers’ teaching on unionism and syncretism, please read A Reader of LCMS Church Fathers On Avoidance of Unionism and Syncretism (esp. C.F.W. Walther's portion). 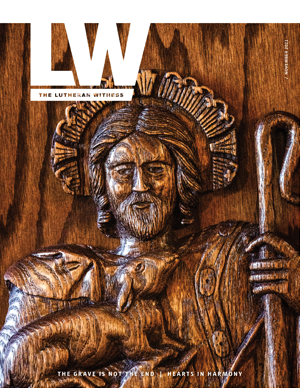 This publication courtesy of The Lutheran Church—Missouri Synod, copyright © 2013. Used by permission. The Lutheran Confessions have a great deal to say about church fellowship. Dr. Kurt Marquart, in his book The Church, has a section on Church Fellowship with passages from Dr. Martin Luther, the Lutheran Confessions and the fathers of the Missouri Synod. This publication courtesy of The International Foundation for Lutheran Confessional Research Inc., copyright © 1990. Used by permission. Union and Confession — by Hermann Sasse: The topic of unionism and syncretism is addressed in Hermann Sasse’s book Union and Confession.